Do you wonder how some people seem to have more time in their day? You know, these are the people who accomplish many of their tasks during the day. They plow through their ‘to-do’ lists and still have time to exercise or relax over lunch with a friend. Other people struggle to get even two items crossed off their ‘to-do’ list. Why is this? We all have the same number of hours in each day to use so why is it that some people accomplish more in the same amount of time? I think we’re all so busy – our days are jam packed full – that we forget to stop and ask ourselves is this the best use of my time right now. When you ask yourself that question you might be surprised at the answer you give yourself. Perhaps, instead of spending your time running a quick errand now you can combine that errand later in the day with picking the children up from school. Then, you’ll have time now to work on the project at home that you’d like to complete by the end of the month. Maybe, you’re hosting the book club at your house later this week. What do you need to do to get ready for this event? Take a few minutes to write down all the small steps to take to make your home ready to welcome your friends. Then, schedule in your calendar to take care of these small steps. You’ll be much more relaxed and ready to talk about the book if you take the time to prepare yourself in advance. Doing small tasks because you think you should be doing something is not always the best use of time. Take time to think about the things that matter most to you. What is really important to accomplish? Write it down. What are the small tasks that you can do – a little here and there? Write them down. Now get out your calendar and plan your time accordingly. Before you know it you’ll be one of those people who get all the ‘to-dos’ on their ‘to-do’ list done! A little more than a year ago my son told me that he wanted to enlist in the Navy. I told him that would be terrific. He had just turned 28 years old and was looking at this opportunity with the Navy as a career choice. He also told me that he had some work to do before he would be considered. Of course, I was curious.. what kind of work did he need to do? To be accepted he needed to meet the weight requirements for his height. I knew that would be tough. My son was in great shape and had been working out so had built lots of big bulky muscles. He had to do more than change his diet he had to change his workout strategy so that he would stay strong and fit but loose muscle mass. That’s a huge challenge. He enlisted the help of a trainer at a local gym. Together they made a detailed plan. In addition to that he told me he wanted to study hard so that he would do well on the placement test. He figured out what he needed to study, looked at his calendar and plotted the different subjects into the months. He also scheduled review sessions so the material would be fresh in his mind. He also needed to move home – to do that he had to clean out his house and list it for sale. These were very big long-term projects but he was determined. He broke these projects down into small, manageable steps. He set achievable bench marks and rewarded himself along the way. He made lists and stuck to his plan. He moved home in late September and started boot camp with the Navy in early December. All the while he studied for those tests, continued to follow his diet plan and worked out. This past weekend I had the honor and privilege of attending his graduation. He is now a sailor! This just goes to show that hard work, dedication to a dream, determination, and planning pay off. 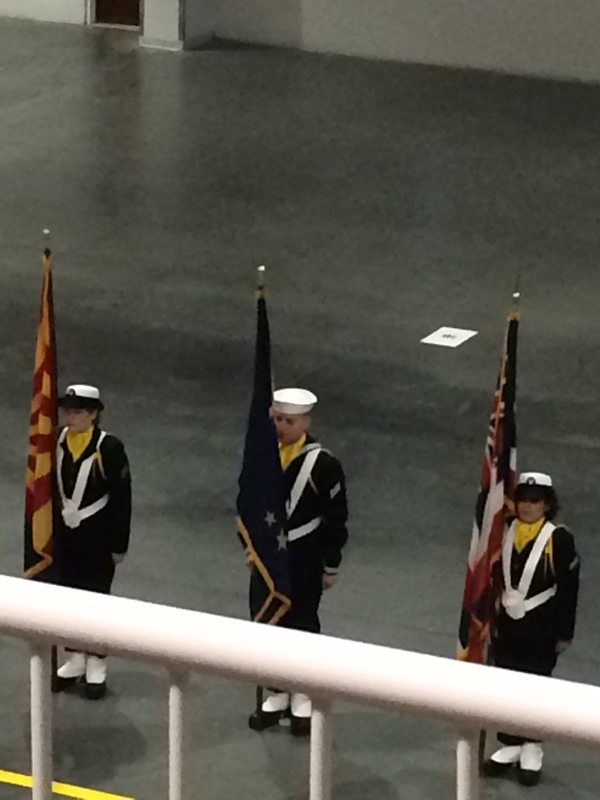 I am a proud Navy mom! You are currently browsing the Dnq Solutions's Weblog blog archives for February, 2015.